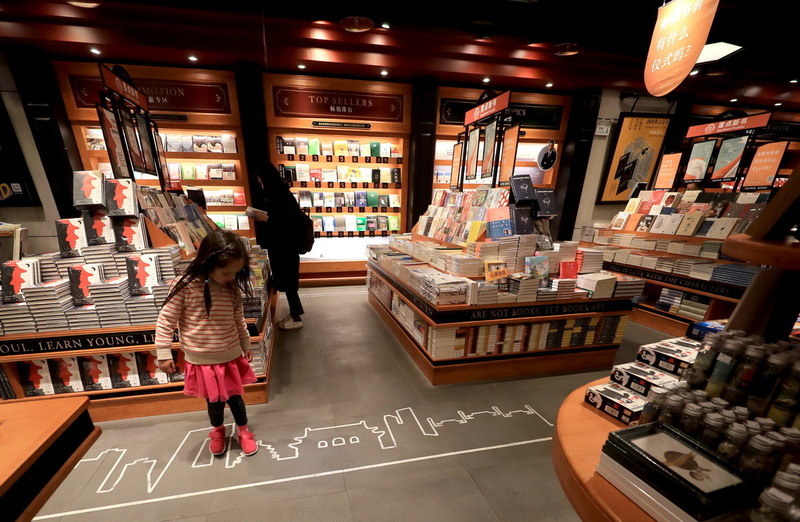 Beijing will make greater efforts to develop bookstores in the capital through policies such as subsidies and tax reductions, aiming to establish a well-structured reading environment for the public, the city's finance bureau announced on Tuesday. The municipal government will invest 50 million yuan ($7.5 million) to support bookstore construction and operations in 2018, which is 2.8 times the annual investment in the sector in 2016 and 2017, the bureau said. Bookstore construction will be included in the national economic and social development plan, with support for companies and individuals who want to build bookstores in commercial centers and tourist spots, on busy streets and in new residential communities, according to a guideline from the Beijing municipal bureau of press, publication, radio, film and television. "We are not just helping out the bookstores with financial problems," said Zhang Su, deputy head of the bureau. "Our goal is to make use of those policies to entice more social capital into the bookstore industry and guide existing ones to upgrade their operations." Beijing plans to build 16 large-scale book malls-one in each district, and 200 niche bookstores in the city by 2020. "The book malls will become cultural experience centers for the public. They will not only sell books but also host lectures, charity activities, branding and events related to innovation," Zhang said. Meanwhile, the authority will encourage some bookstores to remain open 24/7. Liu Mingqing, 55, a publisher and writer in Beijing, said space limitations have been a long-standing headache for bookstore managers. To solve the problem, the government will provide rent subsidies and encourage real estate projects and commercial centers to provide free space or low-rent space to bookstore owners. In addition, the government will offer tax reductions to bookstore operators. "We have been facing a period of decline in bookstores. However, Beijing, as the cultural center of the country, still has the best resources in the publishing industry. Two-thirds of the State-owned publishing houses are in Beijing," Liu said. In 2016 and 2017, people in Beijing read about 10 printed books on average each year, while the national level was around four books, Liu said. "More than 60 percent of Beijing citizens bought books in bookstores rather than online, which means that bookstores are still a major channel," he said. Zhang Letian, manager of Hanfenlou-a bookstore established in 1904 on Beijing's Wangfujing Street-said the policies have given him confidence that the future will be brighter. "We will explore more business methods such as online-offline integration to attract more readers," he said.